How can I create a campaign? The available campaigns in the system are Special Campaign, Minimum Accommodation, Early Booking, Last-Minute and 24-Hour Campaign. Please apply the following steps to add one of the available campaigns. Please click My Property / Promotions in the upper menu of HotelRunner panel. Please click the Campaigns link on the left and then click the Add Campaign button. Please select the Campaign type you want to add and complete your operations. As part of your free HotelRunner account, you are entitled to adding one deal. 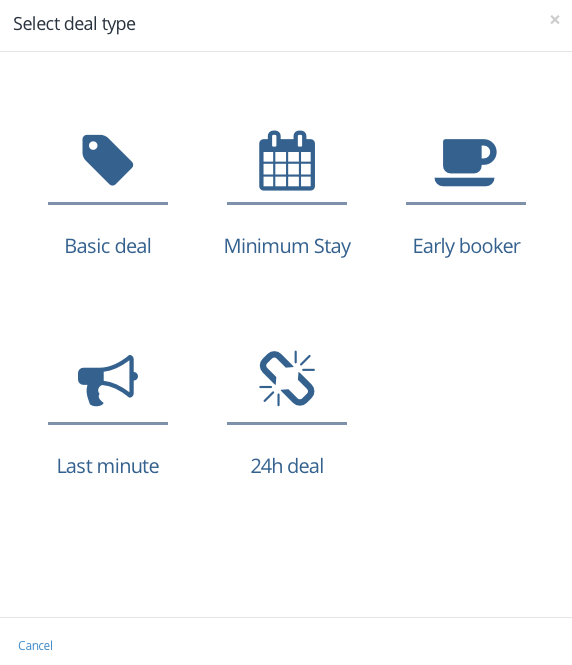 If you would like to create more deals with different dates and discount rates, you must subscribe to “Booking Button – Deals”. Please visit HotelRunner Store now to get your subscription.